We've Helped Many People Who Thought They Could Not Be Helped. At Family Healthcare Chiropractic Center our mission is to educate and adjust as many families as possible, toward optimal health, through natural chiropractic care. If you have an optimally functioning spine and nervous system you can have optimal health. 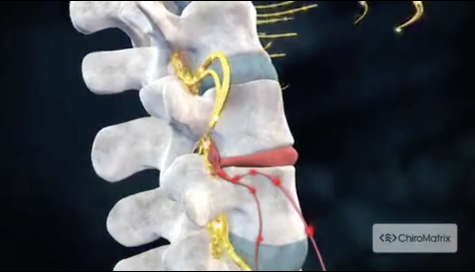 Many people suffer from a condition known as Vertebral Subluxation (areas of dysfunction in the spine and nervous system) that can cause anything from back pain and headaches to high blood pressure and lowered immune function. By detecting and correcting Vertebral Subluxations we have helped many people get well and stay well. Please visit our "Wellness Library" to learn more about Subluxations and how they may be affecting you and your family. The best way to learn more about chiropractic care, and how it can help you and your family, is to take advantage of our $75 New Patient Special. The $75 New Patient Special includes a consultation, examination, x-rays (if needed-up to 4 views), a comprehensive report of findings and 2 treatments (if needed). My name is Dr. Tom Genovese. The beautiful lady in the photo is my wife Denise along with our three children: Mario, Tessa and James. We moved to Stafford, from New Jersey, in September 2001. On December 3, 2001 we opened the Family Healthcare Chiropractic Center. She has been with us since July 2010. She is in the office during our morning hours. "Being a steelworker/welder all my life has caused a wealth of problems: joint pain, bad back, stiff neck and generally feeling lousy all the time. But, since starting care at the Family Healthcare Chiropractic Center, I haven’t felt better in 20 years or more. Chiropractic care is the best thing I’ve ever done for myself. My health is fantastic and my whole outlook on life is better than it has ever been! Thanks, Doc." "Thank you for the donation for my sister and her family. When I tell people you came out and donated, they can’t believe a Doctor would take a patient so personal. It is refreshing and uplifting. Your practice is unusual, even for a chiropractor. Coming into your office is one of the highlights of my day. You have done more for my pain and attitude than any other doctor-no matter how specialized. You have a very strong spirit and it is well supported by your sister and your beautiful wife. The fact that you adjust my children shows my faith and trust. When you suggested it on my first visit, I wasn’t ready. I am very picky about anyone who treats them. It only took a few visits for me to feel comfortable with bringing them for treatment. The hardest part is getting them to understand they aren’t going because they are sick, but so they won’t be sick. Thank you again and may God continue to bless you."